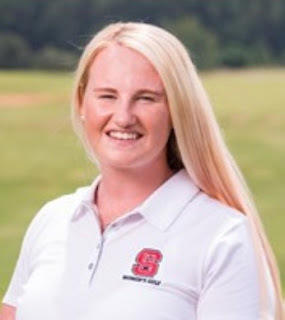 India Clyburn from Cleethorpes, Lincolnshire, a student at North Carolina State University, finished T16 in a field of 96 at the weekend's Bryan National Collegiate 54-hole tournament at Browns Summit, North Carolina. India had rounds of 73, 74 and 71 for a four-under-par total of 212 over the par-72, 6,356yd course. She finished only four strokes behind the winner by one, Kristen Gillman (Alabama) who had scores of 71, 71 and 66 for eight-under 208.